A recent bass fishing tournament on Roosevelt Lake fishing during the evening hours, was surprised by a fast approaching monsoon storm. Even these experienced boat handlers had trouble getting boats loaded onto trailers in the pouring rain and winds in excess of 50 mph. Other anglers standing in waste deep waves of water, helped ensure all participants returned safely. Hunters, hikers, anglers, campers: wherever you are in Rim Country during the monsoon season, be sure to prepare yourself and your group on what actions will be taken if a monsoon storm unexpectedly arises. These storms can be deadly. All residents and visitors need to take these threatening storms seriously. Roosevelt Lake stands at 42-percent full and continues to drop about 1% per week. The monsoon rains intermittently increase the flow rates in the Salt River and Tonto Creek but return to normal flows within a day or two. The Salt River is flowing at 50 percent of its normal rate for early August and the Tonto Creek has again stopped flowing. 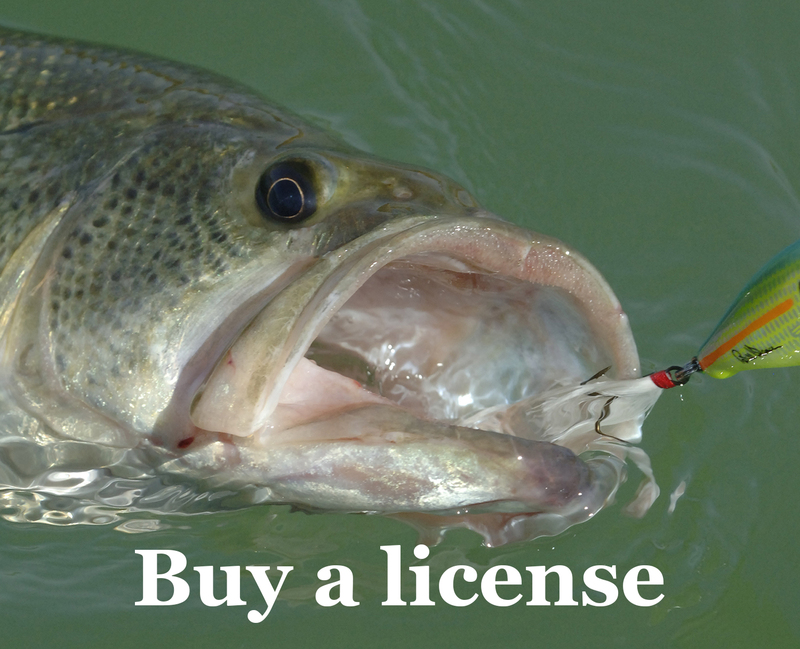 Anglers are reporting good to excellent bass fishing. The early mornings are cool and the increased humidity adds to perfect fishing conditions. Top water baits such as a buzz-bait, Pop-R, Rio Rico are all working extremely well for the first hour after sunrise. A Roboworm using a drop-shot technique in 20-25 foot depth can be great fun throughout the day for all levels of fishing experience. Cholla and Vineyard Coves were recently reported as hot spots. During the late afternoon and early evening, a crankbait, spinnerbait, Rat-L-Trap have been reported successful. The water is extremely clear so lighter colored baits in the green and white spectrums are recommended. Crappie fishing reports remain steady this summer with good to excellent conditions being reported. Experienced crappie anglers are looking forward to cooler night time temperatures when crappie schools become larger and actively feed for longer periods. The AZGFD is planning a Roosevelt Lake habitat building work project for Sept. 28-29th at the Amphitheater parking lot near Windy Hill. The work will begin at 7 a.m. each morning and continue until mid-afternoon. These habitat structures are vital the successful recovery of Roosevelt Lake. These events are great fun and an excellent opportunity to practice conservation. To sign up, contact Bryant Dickens at bdickens@azgfd.gov. Another added benefit is that you get to know first-hand where the habitat are being deployed. Read more.